The Netherlands (Holland) is immediately adjacent to Germany merely 40 miles from where we lived in Holland was the border to Germany. 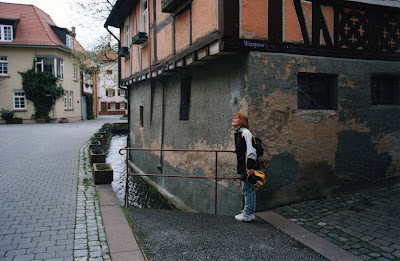 With my having lived in Mannheim Germany for 2 years while in the military It seems like I should revisit where I spent some time earlier in my life. 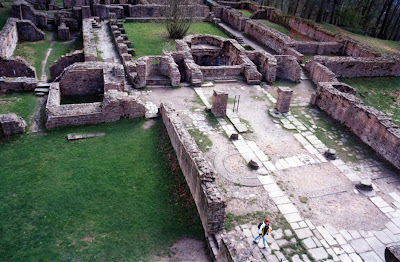 So on a long weekend we packed up the car and drove the 3 or 4 hundred miles to the Mannheim, Heidelberg area for a visit. 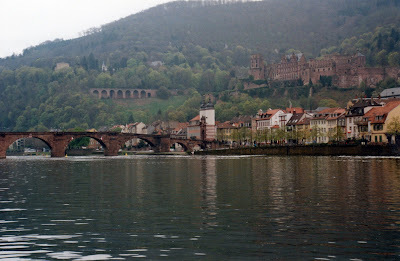 In Heidelberg we stayed at a nice hotel along the Rhine river with a view of all the activity on the waterfront. 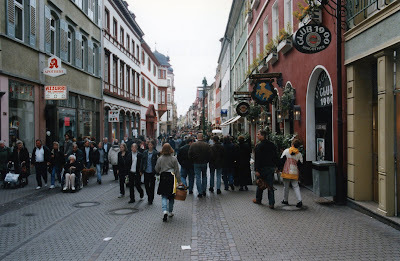 We put on many miles walking up and down the streets of Heidelberg and it shopping districts. 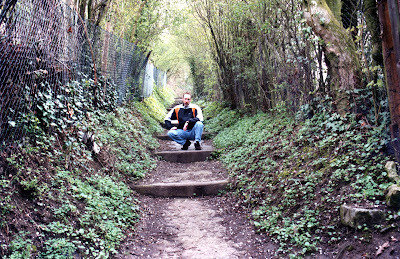 From here we would tour around the area and visit the old castles and hillsides where I spent time years ago. 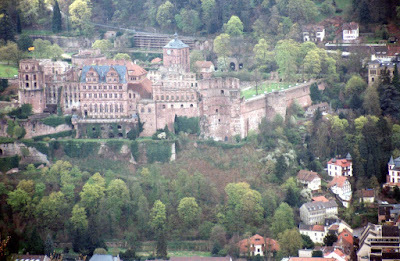 There are several castles along the river in this part of Germany, but by far the most famous is the large and sprawling "Heidelberg Castle". 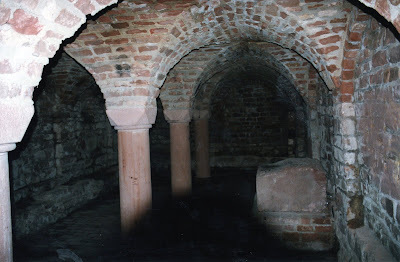 We walked up the trail from below and spent several hours touring the castle which included a visit to the castle wine cellar for a glass of Germany wine. 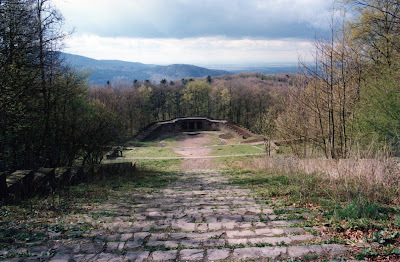 One of the trips we made from our base at the hotel was to the "Witch Tower" an old watch tower built during the war along with the ruins of an old amphitheater used by the Germans before the war. Just north of Heidelberg along the mountains lies another castle in a small village off the main tourist track that really shows the old Germany. I remembered from my tour with the military police in the 70s driving through this place and wanted to return. We drove up in the car parked and walked through the village. We had lunch in street cafe in the village center then followed the old trails up to the castle. While you can never go back to a time in the past and have it be the same it is certainly worth revising those old places just to enjoy the memories that they evoke.